Let’s dive into the pros and cons of using Windows Remote Desktop and investigate. It’s free. Remote Desktop is a built-in Windows service that runs on the Remote Desktop Protocol and therefore is completely free. You don’t have to spend a single dollar on a third-party tool if your needs are limited to in-office remote support or accessing your centralized file storage on-the-go. It’s easy to set up. Although Windows Remote Desktop is disabled in the operating system by default, it’s very easy to turn it on. Note, however, that Home editions of Windows don’t include this service, but we’ll get back to that soon. It may not be that easy to set up outside the office. If you’re planning to use Windows Remote Desktop outside your office network, you’ll need to configure the remote network to accept incoming connection requests. Besides that, you’ll need to know the IP address of the server along with the login credentials for the remote machine(s) you want to connect to. This is a no-go approach if the remote client requiring assistance is not a tech-savvy person. It’s only included in Pro, Business or Ultimate versions of Windows. If you need to support your friends, family members, or a large number of clients running any of the Windows Home versions, then Remote Desktop shouldn’t be your tool of choice. You just won’t be able to connect. It doesn’t allow to reboot the remote machine and automatically reconnect. Being able to reboot the remote computer and automatically reconnect is a vital remote support feature. While many third-party applications such as FixMe.IT allow you to do that with a single mouse click, Windows Remote Desktop requires additional actions on your end. It locks the remote screen, making the remote user unable to interfere or see anything that you’re doing on their machine. This is one of the biggest problems of Windows Remote Desktop that hasn’t been yet resolved. Furthermore, there are no whiteboard tools that would allow you to demonstrate a certain process to your client. It doesn’t really allow to run multiple concurrent sessions. 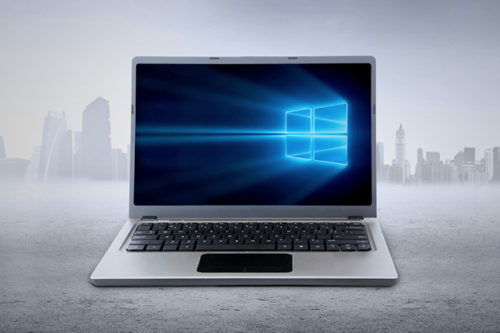 Although there’s a workaround that lets you turn on multiple remote desktop connections on Windows 10 & 8, Microsoft’s built-in tool simply wouldn’t be able to handle dozens of connections with different network settings. Techinline’s FixMe.IT, in turn, allows you to run an unlimited number of concurrent support sessions and easily switch between them in the process. For local network administration and accessing your office machines remotely, Windows Remote Desktop is a great tool that’s free and easy to set up. However, if your primary goal is to easily perform remote tech support, you’d better check out third-party applications such as FixMe.IT. Are you using Windows Remote Desktop to access your office machines? Did we miss any of its advantages or disadvantages? Let us know in the comments! Visit our website to learn more about the FixMe.IT remote desktop application and its features. Join us on Facebook, Twitter, or LinkedIn to get all the latest product and blog updates as they happen.